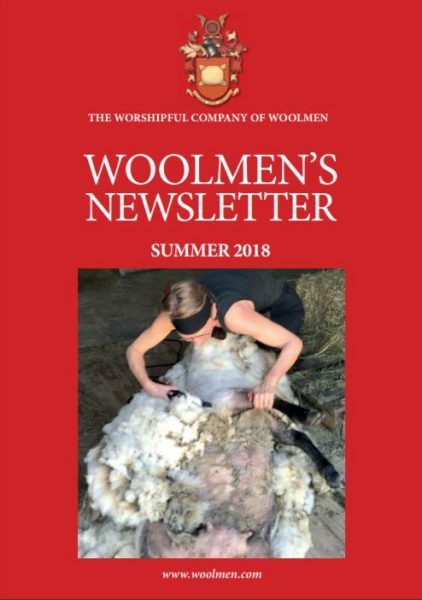 The emphasis of the Company, like most Livery Companies, has switched from the historic regulatory role to a charity role, connected primarily with the Wool Industry and the Corporation of London. The operation of the Company is controlled by its Ordinances, revised as recently as 1998 and currently under review. Under our Charter, membership is limited to 200. Of our current membership, approximately one-third is engaged or has been engaged in the Wool and Textile Trades. Any Liveryman may put forward the name of a suggested new member. However, he or she must be proposed officially and seconded by members of the Court. The affairs of the Company are administered and directed by the Court of Assistants, comprising the Master, the two Wardens and not more than nineteen Court Assistants. Masters hold office for one year and remain on the Court of Assistants for ten further years before becoming Masters Emeritus. When vacancies arise on the Court, selected Liverymen are invited to join with the understanding that they will progress to become Master. It is the custom of the Company to reserve three places on the Court for Liverymen involved with the Wool Textile Industry. In inviting Liverymen to join the Court, selection takes into account the age they will be at the start of their year of office. The Court has a Finance and General Purposes Committee and a Charity Committee, consisting of members from the Court. The Clerk conducts the day-to-day running of the Company. Many of our company’s records were destroyed in the Great Fire of London in 1666; and others were lost during the Blitz in 1940, so our history is patchy; but much can be gleaned from references in books in the Guildhall Library and other ancient documents. Like many other Livery Companies, the Woolmen is a committed supporter of Her Majesty’s Armed Forces. To this send, Past Master John Nickell-Lean TD, during his year as Master of the Company (2003/04) arranged an affiliation with the Queen’s Own Yeomanry. The Queens Own Yeomanry is a Territorial regiment which was originally formed on 1stApril 1971 as the 2nd Territorial Armoured Car Regiment. It was then established from The Northumberland Hussars (RHQ), The Yorkshire Yeomanry (formerly the Yorkshire Hussars, Yorkshire Dragoons and East Riding Yeomanry), The Cheshire Yeomanry and the Ayrshire Yeomanry. However since that time the Regiment has had changes adding the Sherwood Rangers (which were then promptly lost) and regaining the Ayrshire Yeomanry and most recently bringing in the Fife and Forfar and the Northern Irish Horse. Therefore it has elements in Yorkshire and the north of England, Scotland and Northern Ireland. The Queen’s Own Yeomanry with its distinctive cap badge of a stalking fox was one of two armoured Reconnaissance Regiments formed specifically with a role in BAOR, to stand against the threat from the East, particularly of a Russian Invasion of Western Europe. Today it serves in a formation reconnaissance role, equipped with the CVR(T) family of armoured reconnaissance vehicles, including Scimitar and Spartan. On mobilisation, the QOY provides squadrons to reinforce the regular formation reconnaissance regiments and has provided personnel to both Operation HERRICK in Afghanistan and Operation TELIC in Iraq. Most of the serving members of the regiment have served with their regular counterparts in the Royal Armoured Corps and other arms and services. Today the regiment is part of the 15th (North East) Brigade of the 2nd Division. Every year the Worshipful Company of Woolmen presents a silver trophy in the shape of a ram’s head to the Squadron judges by the Commanding Officer to have performed best during the preceding year. The Company is keen to increase its support for the Armed Forces and is actively pursuing an expansion in this area, and it hopes to be able to announce a new military affiliation in 2013.